All creatures are remarkable but not all inspire such passion and devotion as elephants. In today’s blog, we share a selection of the memories of some of those who’ve carried a torch for this remarkable creature since their first meeting. As someone who is not a big fan of zoos, ironically my first close encounter with an elephant was at London Zoo; specifically, in Regents Park, where they used to take the baby elephants for a walk. At the end of their walk, the keepers would take them to an enclosure where the public could interact with them and it was during this interaction, aged four, that I was slapped around the head by a rather irate baby. I was upset and the baby elephant was clearly upset, but it left an indelible impression on me and perhaps set me on the path to trying to secure a future for elephants in the wild. I don’t know what happened to that baby elephant and, thankfully, elephants are no longer kept in London Zoo. But I have since had the great good fortune to interact with a number of other elephants, big and small, in the wild and from a respectable distance. I have also been fortunate enough to be part of the EIA team in its fight to stop the poaching of elephants and tackle the illegal ivory trade. Perhaps that was the intention behind the slap all those years ago. I was 21 and had been travelling around south-west China for a month. After a few frigid weeks in the beautiful mountains of Sichuan, I had headed south to Xishuangbanna, a region bordering Myanmar and Laos. Xishuangbanna is famed as mainland China’s tropical haven and I made the trip expecting to be overwhelmed by multitudes of brightly coloured birds and exotic flowers. Clearly something had gone wrong when, four days of exploration later, all I had managed to find were mile after mile of palm plantations, silent and sterile. On my last day in the region, I travelled to an area of forest known as Wild Elephant Valley. I had just been to Tiger Leaping Gorge, where there are no tigers to be found, so my expectations were low. Did wild elephants even survive in China? A 10-minute walk through buzzing forest later, I was looking down upon a dry river bed and a family of wild Asian elephants. Their size, smell and sounds were astounding as they went about their business, oblivious or unbothered by the group of tourists snapping photos. The unexpected, brilliant sight of wild elephants in China was more than just a wildlife sighting – it was a sorely needed reminder that wildlife can survive in the face of multiple, pressing threats if afforded meaningful protection and the support of local people. 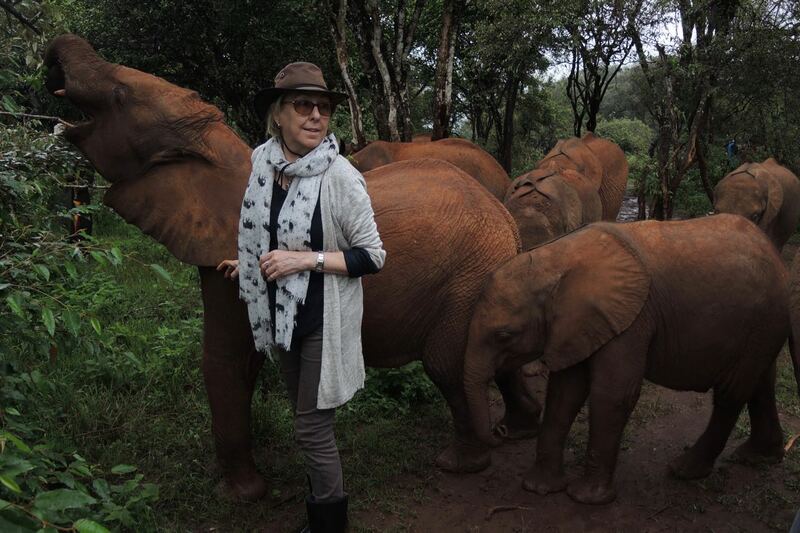 These elephants lifted me from the despair I had been feeling in the face of environmental devastation and gave me the motivation I needed to embark on a career in conservation. I was incredibly fortunate to grow up in South Africa’s Kruger National Park, so many of my childhood memories involve seeing elephants in the wild. However, there are a few encounters that have been particularly memorable. One such memory was staying over at a trails camps in the Park when I was about 10-years-old. My brother and I were woken at dawn by rather loud rumbling noises just outside our hut and my Mom called for us to come outside. We were confronted by the incredible sight of about six elephants foraging right outside the fence, with a few stretching their trunks to get to some of the juicier trees in the camp. I remember how amazed I was by these huge and imposing animals being so tender and nimble. One was so close, we could look each other straight in the eye and it was like looking into the eyes of an old soul. The whole herd was so peaceful, we just sat there for ages watching them go about their morning and listened to their rumbling ‘talks’ to each other. Thinking back on it now, it’s a stark reminder that these beautiful and intelligent animals always belong in the wild. It was such a special experience, and one that will stay with me forever. 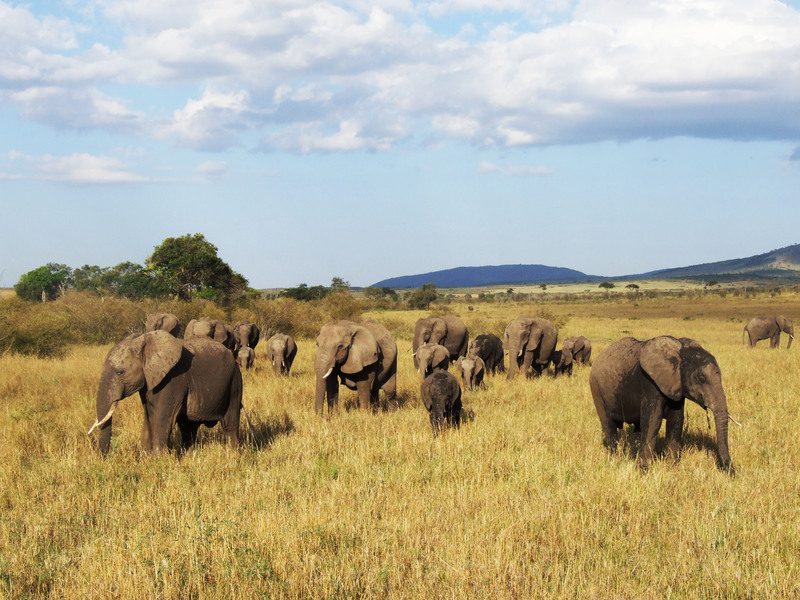 The first time I ever saw an elephant in the wild was when I visited Kenya in 2010. I was fortunate to see lots of animals over the course of the week but it was an hour in the company of an elephant family that really stuck with me. The thing that I most remember was how peaceful they are. I couldn’t believe that this group of huge animals could convey such serenity. Watching as they lazily moved across the ground and looked out for each other was a magical experience. All the other animals I saw seemed to be in a rush or on edge, in a way reflecting the 21st century way of life. In contrast these, the elephants seemed very relaxed and just enjoying each other’s company. My first experience of elephants in the wild wasn’t what I expected but I know it’ll always stay with me.